Last Monday marked International Human Rights Day, on which the Universal Declaration of Human Rights is celebrated by countries around the world. This year was a particularly significant celebration, as 2018 is the 70th anniversary of the adoption of the Universal Declaration in 1948. Among the rights it sets out, the right to freedom of religion or belief, Article 18, is particularly dear to Christians, as we pray regularly, and appeal to governments, for our persecuted brothers and sisters around the world. This Christmas I encourage us to pray in particular for Christians in China and Iran, who are facing crackdowns from the authorities. We should also pray for people of all faiths and none in Bulgaria, as citizens are concerned about new legislation which will restrict religious communities. But in the 70 years since the Universal Declaration was enacted, Christians have a lot to be thankful for in how the global human rights framework has raised awareness of religious persecution and concentrated minds on defeating it. 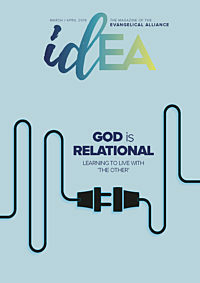 In the UK we have the right and freedom to speak, teach and practice our faith; and the Evangelical Alliance has worked on resources such as Speak Up and Christianity in the Workplace, which celebrate those freedoms and help Christians to understand how to use them wisely. And yet our context also shows us that even a strong human rights system cannot do everything. To give two examples, our country respects human rights, but this does not guarantee civility, as five minutes on Twitter will demonstrate. Nor do human rights guarantee political stability, as recent events in parliament clearly reveal. So, we live with some tension: we celebrate human rights and the achievements that go with them, and yet we recognise that they do not, and indeed cannot, establish heaven on earth. With that in mind, it’s appropriate that International Human Rights Day falls when the church is celebrating Advent, which is when Christians look back to Jesus’ incarnation, but also look ahead to His return, when He will make all things new. The foundation of human rights is the idea of inherent human dignity. For Christians, that dignity stems from the fact that all of us are made in the image of God. And for us, such dignity is no mere abstract concept, but is demonstrated in history as ​“the Word became flesh and made His dwelling among us” (John 1:14). The incarnation is God’s act of solidarity with rebellious humanity – and in particular with humanity at its most vulnerable. Jesus took on human weakness, born as a baby, dependent on His parents. Jesus came devoid of the worldly power, followers and wealth that often serve as protection against the misdeeds of others. As a result, His early life is a story of vulnerability to events: from the lack of any room in Bethlehem (Luke 2:7), to the insecure and brutal violence of a dying king (Matthew 2:16), to the flight to a foreign country (Matthew 2:13). Our commitment to human rights is a recognition of human dignity even in such vulnerability. Such rights are an attempt to restrain the worst that human evil can inflict on a person. Advent is also a time where we remember that we would still have needed Christ even if His political situation had been rather different. Even if Herod had been open to an orderly transition of power and a democratic election, and even if the Romans had respected the rights of citizens, we would still need to be saved from sin and reconciled to God. Jesus’ message would still have been ​“repent and believe” not ​“keep calm and carry on”. 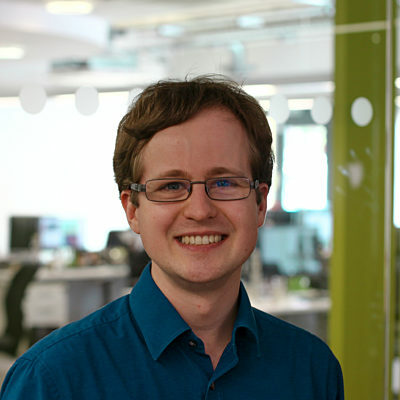 John began working at the Evangelical Alliance in 2016, focusing on issues of debate in parliament that are relevant to evangelical Christians in the UK. Before this he worked as a research assistant for the Church of England Bishop of Coventry, supporting his work in the House of Lords and his focus on freedom of religion or belief and global reconciliation. He holds a BA in Theology and an MPhil in Judaism and Christianity in the Graeco-Roman world, and he remains very interested in biblical studies and inter-religious dialogue. He also teaches English to speakers of other languages at a class run by his church.